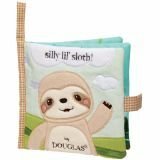 For ages birth-5 yrs, from Douglas Toys. 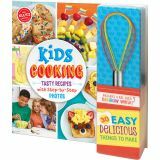 Big, step-by-step photos guide little chefs through 30 parent-approved recipes. 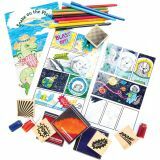 This 78-page spiral-bound volume is fun and lively, with vibrant graphics. A delicious way to foster self-esteem. 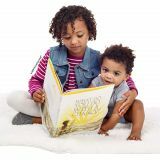 For ages 6-10 yrs, from Klutz. Learn how to produce your very own movies using your LEGO® bricks and stop-motion animation! Learn about lighting, sound effects and camera angles. 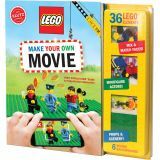 Includes background settings and 36 special LEGO® elements to make your film a blockbuster! 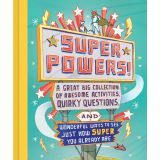 Declare your superhero name, answer an awesome array of quirky questions, and write the legend of you! A spirited collection of wonderful ways to uncover the super-ness of the author. What a keepsake for years to come! For ages 7-9 yrs, from Compendium. Being brave at the right time means overcoming fears - and finding out that amazing things can happen when you take a chance! For ages 5-8 yrs, by Kobi Yamada. For ages 5-7 yrs, from Compendium.